Today has been dubbed a “Day of Action to Save Net Neutrality“. 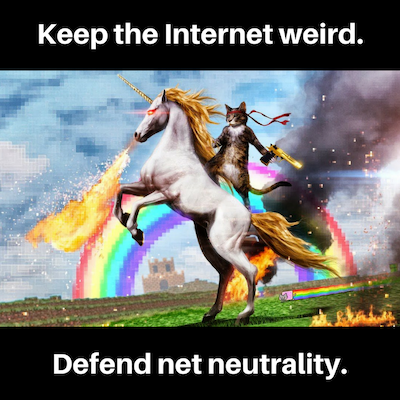 Several of the world’s largest tech companies (including Google and Amazon) are staging elaborate (but worthy) stunts to mess with the internet to prove how important Net Neutrality is. Net neutrality means that internet service providers (oddly enough, AT&T came out in support of Net Neutrality today) have to serve all websites and services with the same speed. They are not permitted to make deals to speed up and slow down traffic to premium sites. Currently there is a FCC rules change that could destroy that neutrality. If you would like to voice your support in favor of net neutrality, you may do so on the FCC website. What Kind of Idiot Gets Phished? Thanks for getting in Contact. Download Our Report.